This weekend I decided to watch some time travel movies. I find time travel interesting... but not something I see watching often... as it is something I normally have to be in the mood for. But as soon as our good friend Tom mentioned Time Travel in my theme suggestion thread it just clicked for me for this weekend. I recently watched all the Star Trek movies... so probably won't be watching the time travel Star Trek movies this weekend. But they are listed below with the rest of my time travel movies. You're going to watch all those movies over a weekend? No... they are just all the movies I own that I can choose from. I usually get in between 6 and 10 movies within a 3 day weekend (Fri-Sun). I think I will definitely watch the Back to the Future movies... I always liked those... and it has been a while. Is there any others you would suggest for this weekend? From the Academy Award® - winning team of executive producer Steven Spielberg* and director Robert Zemeckis** comes the hilariously original, groundbreaking adventure that thrilled critics and audiences alike - and sparked one of the most successful movie trilogies ever to alter history! The year is 1985 – but not for long. Because teenager Marty McFly (Michael J. Fox) is about to be blasted back to 1955 aboard the plutonium-powered DeLorean created by eccentric genius Doc Emmett Brown (Christopher Lloyd). But when Marty accidentally keeps his parents-to-be from falling in love, it triggers a time-shattering chain reaction that could vaporize his future – and leave him trapped in the past! Now, Marty's last hope is to change history – before the clock runs out on his one-in-a-million chance to get himself Back to the Future! Powered by spectacular special effects, unforgettable songs and outrageously imaginative action, it's an exhilarating motion picture triumph you'll want to experience time and time again! * 1998, Best Director, Saving Private Ryan. ** 1994, Best Director, Forrest Gump. This is one of my favorites from the '80s. Though I will admit that cable showed this movie so much in the late '80s and early '90s that I got sick of seeing it. Thankfully by the time the DVDs came out it was so many years since I saw it I was once again wanting to see it and was quick to get the DVDs. If there was one downfall to this movie for me personally it is all the music used. I know most people probably love every minute of the music. But hey... what can I say... it was a bit too much for my taste. But even with that said this is still an excellent movie. I really enjoyed all the characters... especially Marty and Doc Brown. I also liked that through-out the trilogy they really paid attention to the details... making even small references to the town from movie to movie. They really made sure to make this a fun movie. "THE CONTROL OF TIME IS POTENTIALLY THE MOST VALUABLE TREASURE THAT MAN WILL EVER FIND." Or so believed the scientists of Project Tic Toc. Located beneath the Arizona desert, the ten-year project's focus is the feasibility of time travel. But when the government reconsiders the project, the scientists have only 24 hours to prove their untested "Time Tunnel" will actually work. Determined to save the project, Dr. Tony Newman and Dr. Doug Philips go through the tunnel—and quickly find themselves catapulted from one historical event to another, barely escaping with their lives as their colleagues back in Arizona race to figure out a way to bring them back home. Tony and Doug land in Paris in the middle of the French Revolution and are rescued by a storekeeper who believes they have come to help free Marie Antoinette. An alright episode..., definitely not one of my favorites. But that could have something to do with the time it was set in. Even when studying this period back in school I had little to no interest in this particular period in time. It was never anything that kept my interest for some reason. If there was one downfall to this movie for me personally it is all the music used. I know most people probably love every minute of the music. Yes, BTTF has great music in it! I would be curious to hear your thoughts on Donnie Darko and Terminator 3. Though I am not sure if you would enjoy Donnie Darko. Which version do you have? Personally I have never seen the director's cut. Also what do you think of the Planet of the Apes remake. Personally I liked it. For which I already got a little flak here. And also Galaxy Quest is a really great movie. Though I wouldn't consider it a time-travel movie. Maybe for the next unwatched movie marathon? Brace yourself - as the most spectacular history-altering adventure of all time continues in the hit sequel that proves lightning can strike twice! Marty and Doc (Michael J. Fox and Christopher Lloyd) have barely recovered from their first time-traveling adventure when they launch themselves once more into the space-time continuum. But this time around, their history-tweaking antics in the year 2015 create a frightful, alternate 1985 Hill Valley where bully Biff Tannen is rich, powerful and Marty's dead! Now, their only chance to fix the present is by going back to 1955 all over again. But can Doc and Marty patch up the past without igniting a universe-shredding time paradox? Fire up the trusty DeLorean and find out - as the powerhouse team of executive producer Steven Spielberg and director Robert Zemeckis rev up another round of brilliantly inventive, comically super-charged time-hopping action in 'Back to the Future Part II'! Once this movie gets going... there is no stopping it. 1955...1985...2015... back and forth. There is a lot of time travel in this movie! Not to mention alternate realities. I really liked how they handled it all. I do wish they didn't have to change the actress that played Jennifer... not that I didn't like Elisabeth Shue because I definitely did. I just prefer to see the same cast playing the characters whenever possible. Over-all I really enjoyed this one... just as much as the first one! In the tradition of STIR OF ECHOES and FINAL DESTINATION, DONNIE DARKO is an edgy, psychological thriller about a suburban teen coming face-to-face with his dark destiny. Jake Gyllenhaal leads a star-filled cast (including Drew Barrymore, Noah Wylie, Jena Malone, Patrick Swayze and Mary McDonnell) as a delusional high school student visited by a demonic rabbit with eerie visions of the past and deadly predictions for the future. This "excitingly original" (Entertainment Weekly) nail-biter will keep you on the edge of your seat until the mind-bending climax. I watched Terminator 3 once when I first got it... but really don't remember it too well. I also watched Planet of the Apes remake as well... I remember enjoying it... though been so long I really don't remember much else. I also seen (and enjoyed) Galaxy Quest... I just couldn't remember the time travel in it. Pete, I would definitely consider Harry Potter and the Prisoner of Azkaban time-travel. In the second half of the film there is a lot of traveling back and forth and just in general messing with time. The unlikely hero of "A Kid in King Arthur's Court" is back to give history a jump start... again! This time, Calvin Fuller (Thomas Ian Nichals) is mistaken by the wise-cracking, ultra-hip Genie (Taylor Negron), as "The Deliverer". Only "The Deliverer" can save Aladdin and all of Arabia from Aladdin's evil brother, Luxor. Unfortunately, Calvin has never delivered anything more than pizza! When the Genie takes Calvin back in time to Bagdad, he realizes he's in for another wild ride! Calvin teams up with Ali Baba and the beautiful princess for an adventure full of action, mystery, and magic in this fun-filled movie the whole family will love! So I need to add it to my list also. It is a shame I don't have the first one to go with it. 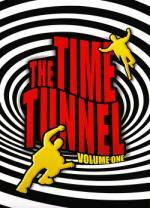 When a scientist, claiming to have constructed a time tunnel ten years earlier, offers his services to General Parker, Tony and Doug are sent back to 1956 to investigate. This episode I enjoyed quite a bit. I liked the storyline a lot... I especially liked how they never made it completely clear what country they were in... they gave an exact time... and an approximate place. And in my opinion that was enough. I also liked how they were so close to home... only 10yrs off. I must admit I am excited about the next episode. At the end of each episode they show clips of the next one. And in the next episode they are there for the assassination of President Lincoln. That should make for a good episode.